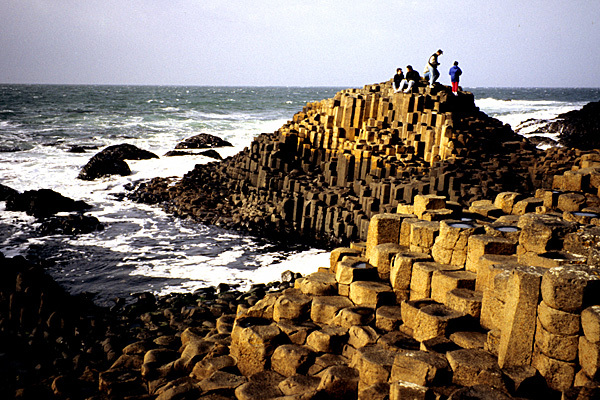 Nearly 40,000 hexagonal columns of basalt make up the Giant’s Causeway. 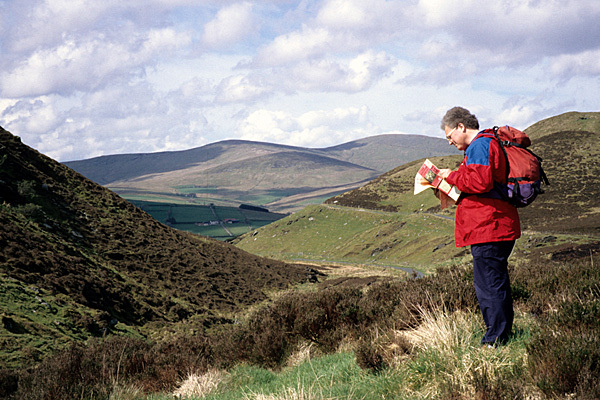 A walker checks the map on Barnes Gap in the heart of the Sperrin Mountains. 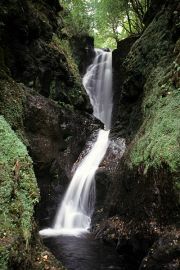 Splendid waterfalls can be visited while walking through the Glenariff Forest Park. When The O'Brien Press and Northern Ireland Tourist Board were discussing the need for a guidebook covering the immense Ulster Way, one author's name came up regularly! The Ulster Way had already been walked in its entirety and used in The National Trails of Britain & Ireland, Exploring the North of Ireland, and also in an Ulster Way booklet produced for the Department of the Environment. It was time for a complete and detailed guidebook to the route, which measures an immense 1070 kilometres (665 miles). The route research was accomplished in two visits, and proved to be considerably easier than a previous walk along the route, which was accomplished in a hefty month's walking in appalling weather. The Ulster Way suffered from a policy of 'benign neglect' for many years, but has been re-launched and described as having 'quality' and 'link' sections. More and more walkers are interested in the route, rising to the challenge of completing a walk that runs through some of the very best of Ulster's rich and varied landscapes. It stands as a monument to its creator, Wilfrid Capper, a true gentleman and a man of rare vision. In a review in TGO (The Great Outdoors) magazine, Joss Lynam said, "This is a very welcome addition to the sparse literature on the Ulster Way... the first guidebook describing the whole route."